Michael Dark, an online florist, has recently completed a piece of research into why women continue to want to receive flowers. Very often, people feel flowers are not an appropriate gift because they are a bit cheesy and because they die anyway. However, the research clearly showed that women continue to seek that romance and that flowers seem to tick all the boxes. Michael Dark, UK based online florist, has recently completed a piece of research into whether or not women wanted to receive flowers from their other half. 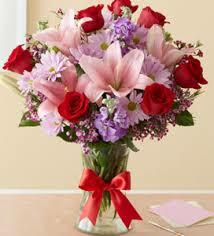 An overwhelming majority indeed appreciated – or would appreciate – the gift of flowers. This despite flowers being seen by some as a bit corny and despite the fact that flowers die. Women like the fact that flowers are actually pointless. They are aware of the fact that flowers die, but that is, in a way, exactly what they like about it. For once, they don’t have to cherish a gift for the rest of their lives, keeping a special place in their heart for it. Flowers are simply something to be enjoyed in the now, after which they can be disposed of. Women believe flowers reflect parts of their personality. When they receive flowers from a significant other, they feel more understood (if they are the right flowers) or more mysterious (if they are the wrong flowers). As such, all flowers have a positive connotation. Women feel flowers actually stop time, even for just a moment. They have a visual and scented impact, and women want to share that moment of bliss with the person who provided them with the flowers. Women like to remember the feelings behind receiving flowers. Even if flowers are given to them at moments of sadness, they make women feel loved and appreciated. As such, the feelings are always positive to a certain degree. Furthermore, since women are emotional beings, they don’t even mind being reminded of the less positive things every once in a while. Women feel they deserve flowers. While most women are now emancipated, they are still somewhat looking for that knight in shining armour who holds doors open to them, who picks up the bill and who, every once in a while, buys them flowers. The research shows just how significant flowers can be in a woman’s life and how much they can influence how someone feels, either about themselves or about the person who gave them the flowers.